What kind of antenna does W0ZSW use? The antenna at W0ZSW is a 200 foot long double extended Zepp, otherwise known around here as a “W0OXB Special”. 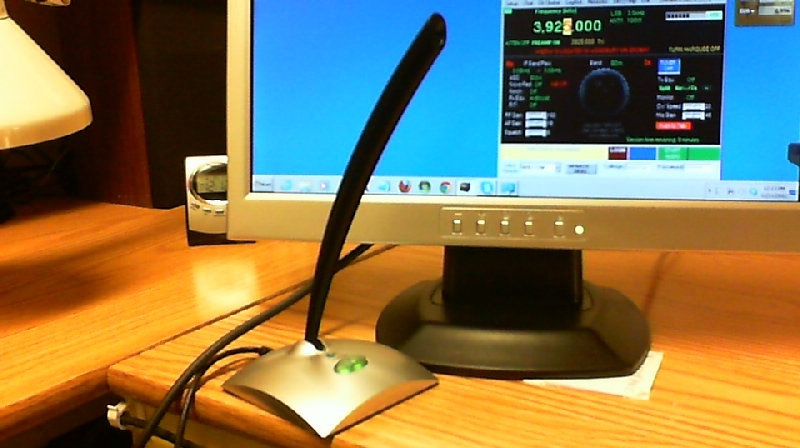 Continue reading What kind of antenna does W0ZSW use? Do I have to open ports on my router? You do not have to open any special ports on your router to use the W4MQ client side Remote Base software. Continue reading Do I have to open ports on my router? 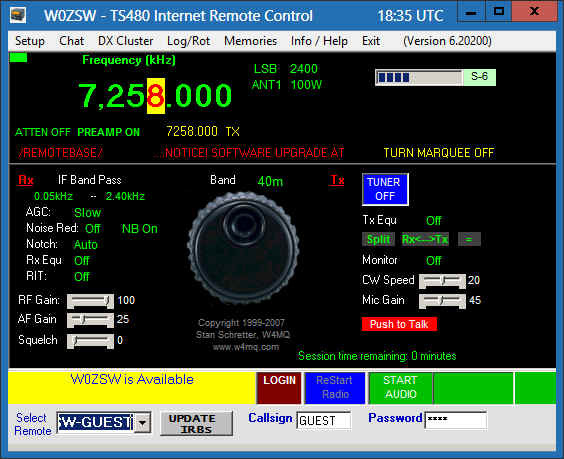 Welcome to the New Web Transceiver Software Version 6.2.0.200! It’s coming, It’s coming, It’s here! Screenshot of W4MQ client version 6.2.